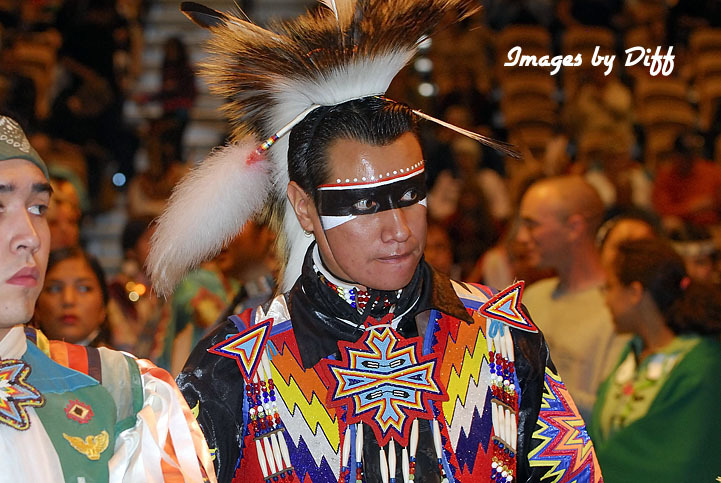 click photo to enlarge Our first encounter with an American Indian Powwow was probably 20 years ago in the Finger Lakes Region of New York. 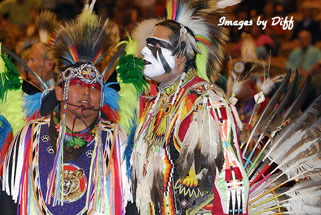 Quite by accident the town we were going to spend the night in had a Powwow going on. We didn't go to another one until we move to California. 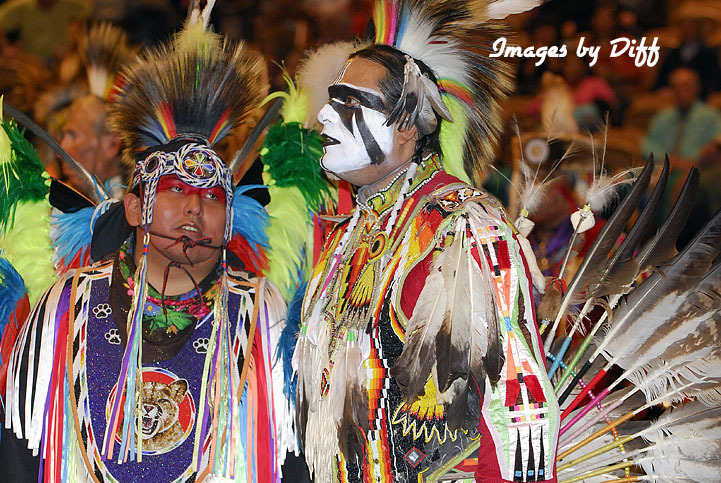 With all the Indian tribes in the area there are a number of Powwows all year. I had wanted to photograph one and finally got around to it in late 2010. 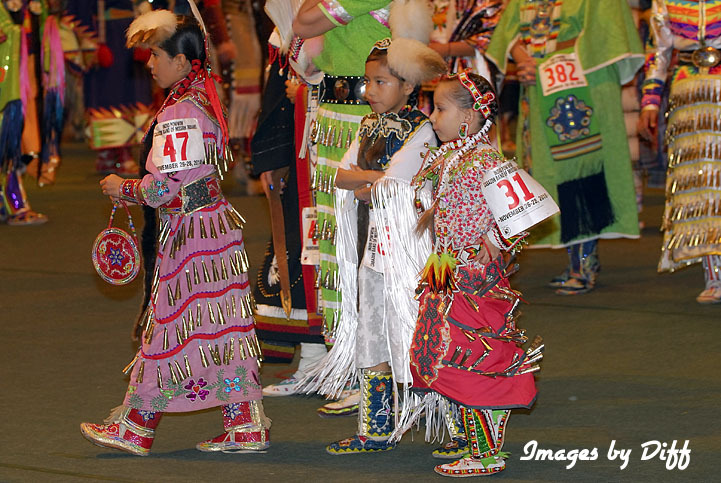 This one is held by The Cabazon Band of Mission Indians. click photo to enlarge It is held indoors which is good and bad. It is good because you never know what the weather may be in the winter but it is bad because lighting indoors for photography is tough. 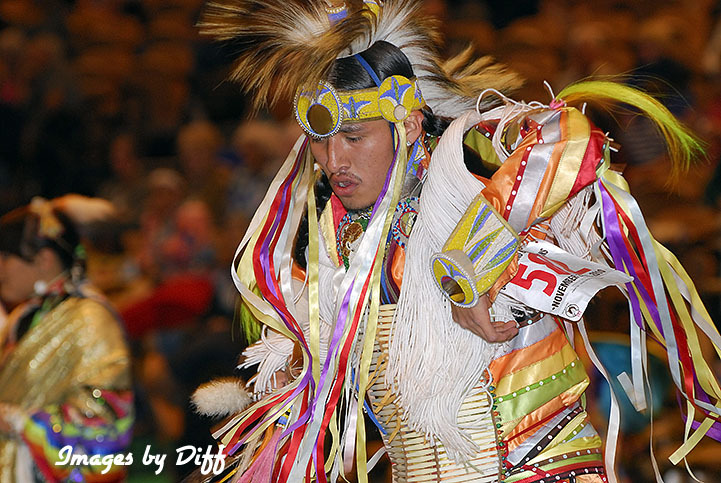 The dancers have some pretty incredible costumes with all the colors, beads and feathers. 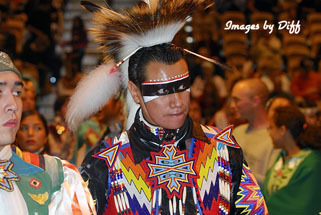 The Powwow is a celebration of Indian heritage and culture and also a competition for the dancers and drummers. 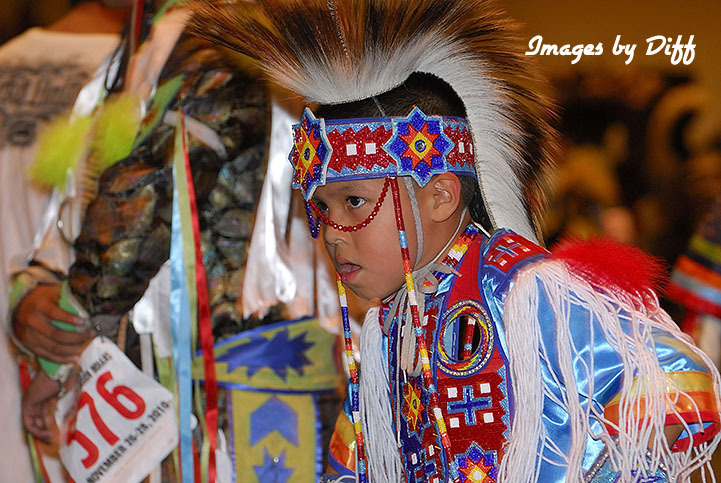 click photo to enlarge All ages take part from the small children to the elders of the tribes. There are of course booths offering Indian made goods and also food stands outside. I always have to get an Indian Taco made with fry bread. It was hard to pick out only 5 photos to post.